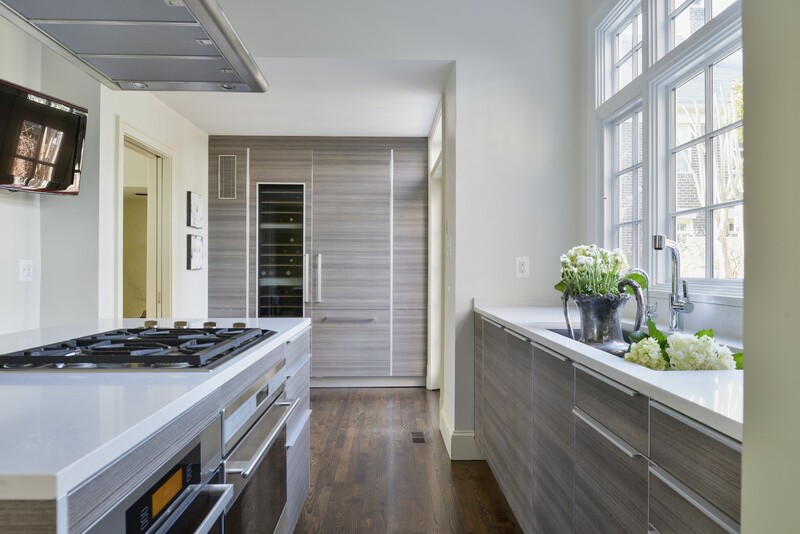 Poggenpohl Georgetown’s Elizabeth Cosby designed this sleek, modern kitchen using Poggenpohl’s Teak Lava Décor cabinetry, Caesarstone countertops and Miele appliances. 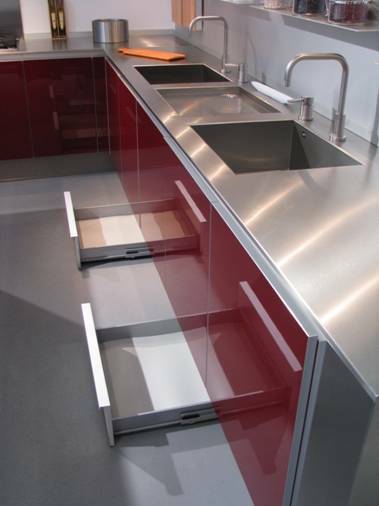 Plinth drawers are the perfect place to store cookie sheets and trays. 2) Handle-Free Ovens. According to Charlie Morgan of Gaggenau, the German manufacturer will unveil new hands-free ovens this fall that open with the touch of a button. Designed to satisfy consumers who want a streamlined, minimal look, the models do offer optional handles for those who prefer to get a grip. LIKE HOME & DESIGN MAGAZINE ON FACEBOOK!